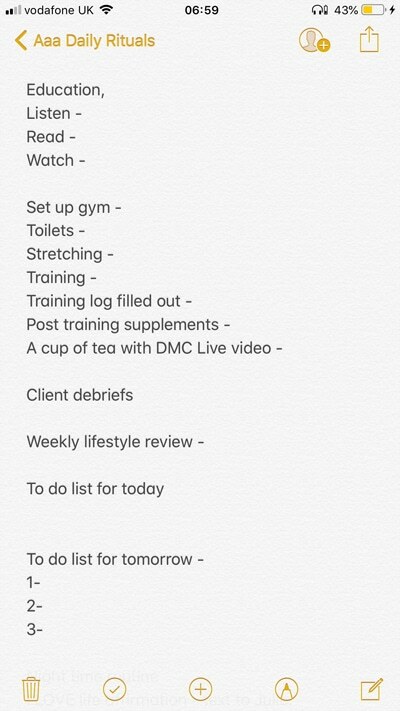 Following on from last weeks blog, here is the exact daily system I use to keep myself accountable and to make sure I’m embedding all the positive habits I need to be as effectively productive as possible. The system I use is simple straight forward and effective. Remember that common sense isn’t always common practice. Using my notes page on my phone I break my day into sections. Once a section of tasks is compete I tick ✅ them off. At the end of each day I review my performance and set my tasks up for the following day. This practice is repetitive but repetition is the mother of skill and practice makes permanent. 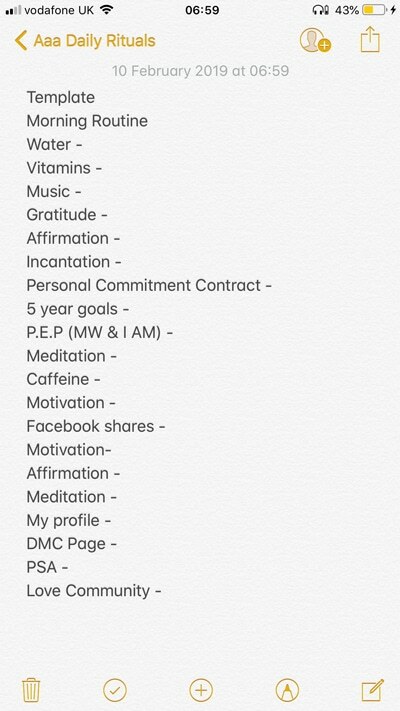 Below is an example of my personal and professional daily commitments, tasks and actions I complete each day. My daily rituals template, ready to use. Now my coaching commitments take place. Travel home listening to something positive and empowering. Client debriefs – this is where I communicate with my clients from that day and send them their tasks and actions. 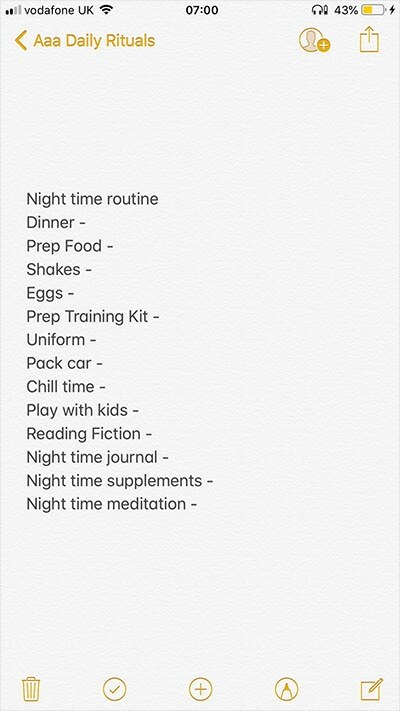 Weekly lifestyle review – each day I take notes and at the end of the week I review my week this data is used for my quarterly, half yearly, and yearly reviews. Night time meditation – this doesn’t always happen. Now your task is to set up your own daily to do list and get building up the consistency needed to make it part of your daily routine. If you have any questions please let me know.